Originators should look to consider the more difficult-to-quantify long-term reputational enhancement that comes with adopting a more fair collection and recovery strategy that can strengthen your brand image and protect shareholders. Putting customers first is in the interests of creditors, with advanced, customer-centric strategies not only collections performance, but also rehabilitation. The brand name is more likely to be positively perceived in the wider market among both existing and prospective customers. Shareholders also stand to gain from higher-quality, fairer approaches to collections, benefiting from improved performance as well as better risk management. Both the operational and strategic benefits of adopting more sophisticated, intelligent technology can positively impact on company brand and reputation in the market. At the operational level, a more consistent approach using automation and high-quality, integrated information can help avoid embarrassing mistakes, when agents take flawed actions based on incorrect information. The more strategic benefits that come from the ability to segment accounts based on individual customer characteristics also drives important enhancements to brand image over the long term, as more positive actions that enshrine fair treatment of customers reap long-term dividends for firms’ standing in the market. Automation and segmentation is a powerful combination that helps better align the interests of customers and originators, with good implications for productivity and collection results, as well as brand names. For instance, advanced analytics may suggest that firms can enhance both collection results and rehabilitation by offering certain customers grace periods or even debt reduction. At the same time, automated contact with certain customer groups is particularly effective in the early stages of the collection process, increasing the chance of self-correction, when a reminder could be all that’s needed to get things back on track. Such light-touch, more positive and yet more effective, targeted actions are far better for an organisation’s brand image than the one-size-fits-all, aggressive collection tactics that have been used by many companies in the past. Using advanced technology to improve collections operations goes hand in hand with a more fair approach to collection and recovery that takes more consideration of customers’ individual circumstances. Systems that work seamlessly, based on high-quality data integration and intelligent solutions that treat customers fairly, project a far better corporate image. 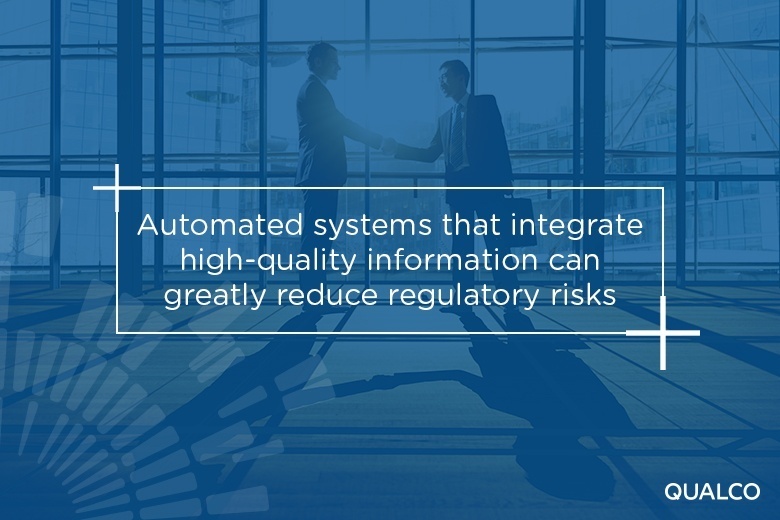 Sophisticated, automated systems that integrate high-quality information can greatly reduce regulatory risks, thereby protecting shareholder interests. Incorrect or fragmented data easily leads to erroneous actions that can damage customers´ interests and lead to regulatory sanctions, particularly when processes are also less disciplined and lacking the inherent consistency that comes with automation. In order to both safeguard their own long-term reputations and protect shareholders interests, companies need to treat all customers fairly; this of course does not mean that they should adopt the same treatment strategy for all customers, who have a diverse range of varying circumstances and traits. Given the increased use of third-party collection agents in the early stages of the debt life cycle, it is essential that firms are also able to more effectively monitor such activities in order to better manage risk. Deploying more sophisticated, intelligent systems can provide creditors with good visibility even over the activities of third-party collection agents. Advanced collection systems protect shareholder interests on many levels; such systems drive overall improvement in collection results but with greater efficiency, enabling firms to improve recovery rates as well as reduce costs, thereby improving profitability. More appropriate, effective treatment strategies that take greater consideration of customers’ individual profiles drive increased rehabilitation, with positive implications for profitability for years to come as a greater number of existing customers - now with good creditworthiness - continue to purchase organisations’ goods and services. The reputational benefits that come from such best-practice collection systems and strategies also benefit the bottom line in the long run, and hence shareholders´ longer-term interests. The use of advanced systems and best practice also enables companies to better manage operational and regulatory risks. This reduces the risk that shareholders will face nasty surprises in the future due to aggressive collection tactics, poor monitoring of agent activities, flawed data management and inconsistent processes that can see firms easily fall foul of regulatory requirements. How can you build an ethical credit rehabilitation strategy? Download "The Debt Portfolio Blueprint: How to build an ethical credit rehabilitation approach that puts the customer at the heart of your strategy" to find out.